This is two outfits in one because the romper is reversible! 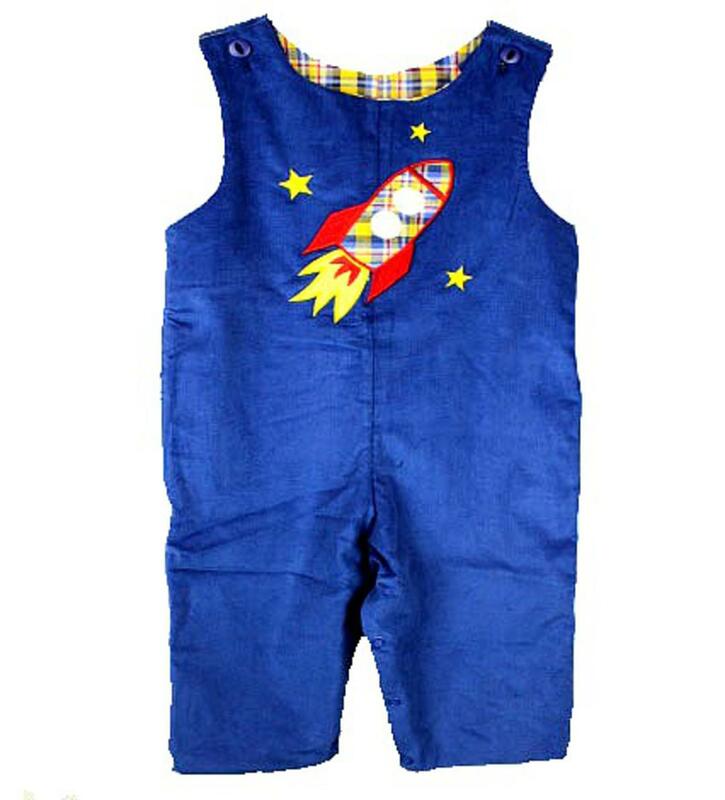 The royal blue corduroy side has a yellow, red, white and blue plaid applique rocket on the front. The opposite side is the yellow, blue, red and white plaid and both sides go perfectly with the Red Turtleneck. We love this outfit because on both sides it has two buttons at the top shoulders to get over a childs head and snaps along the inside of the legs to accomodate easy diaper changes. This soft longall is 100% cotton.